In 2013 and after 14 years of gigging around the UK, Maiden England decided to call it a day. However, Huw (the bassist) had not had enough and decided that he wished to continue. 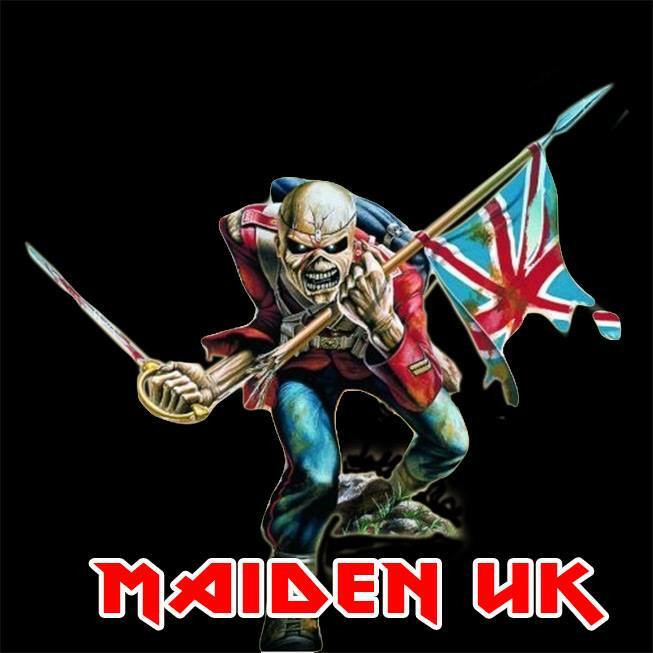 The idea for Maiden UK was to get a band made up of genuine Maiden fans, and create as an authentic and entertaining tribute to Maiden as possible, without all the wigs and nonsense. 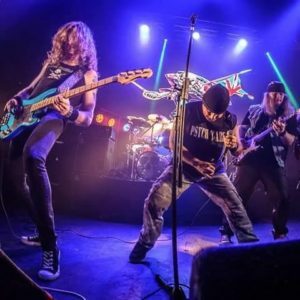 Whilst in Avenger, Huw played alongside Sean Jefferies and Liam Thompson, and as most Avenger rehearsals ended as a Maiden Jam fest it was obvious who would be the ideal choice for guitars. So Sean agreed to take the role of Dave Murray and Liam took on Adrian Smith and Janick Gers. Strangely, Liam apparently prefers Dave Murray’s playing and Sean Vice Versa! The band gigged for a year building a solid reputation in the North East of the England. In 2014, things took a quantum leap forward when Paul “Hewie” Hewitson returned to take over the vocalist position. Paul was the original vocalist for Maiden England and his ability to emulate Dickinson’s vocal delivery is unmatched as is his ability to spout total nonsense! From this point the band really started to take off, and they started to play dates all over the UK. Then in 2016, Ian Mackenzie (yep! also ex Maiden England) joined on drums. Ian is actually Paul’s brother and is also a great chanter, being the Singer in Midlands based Iron Maiden Tribute, Higher on Maiden! Maiden UK are currently performing a “Somewhere in Time” based set (with matching stage props) to mark the 30th anniversary of that album. We hope to see you at a gig soon! 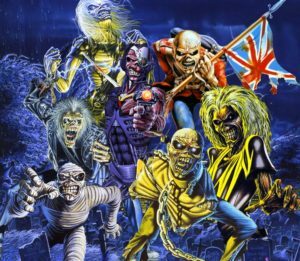 Up The Irons!